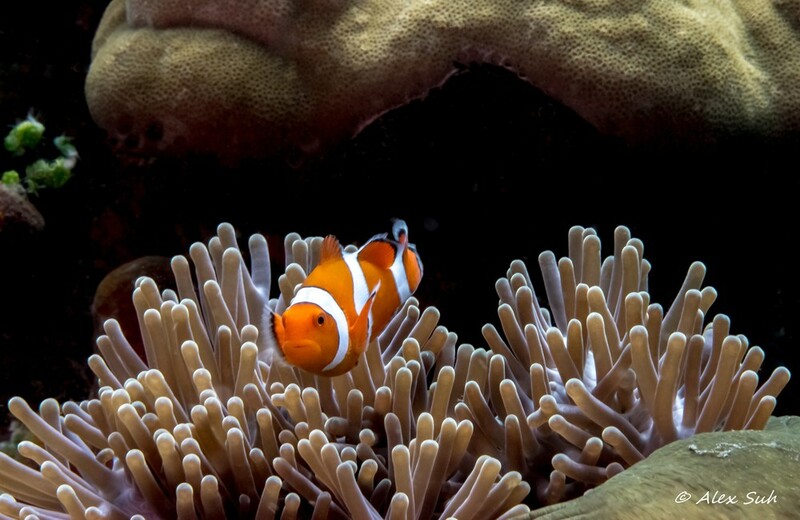 There are 28 known species of clown fish or anemone fish, most of which live in the shallow waters of the Indian Ocean, the Red Sea, and the western Pacific. 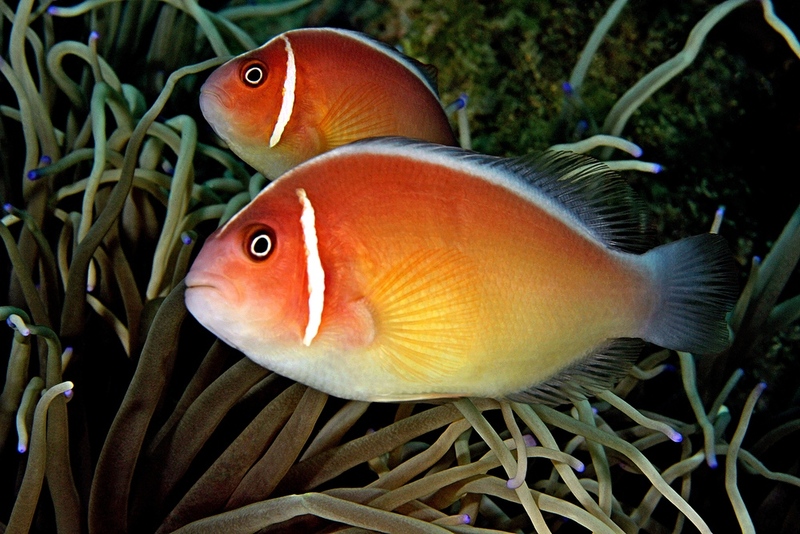 They are not found in the Caribbean, Mediterranean, or Atlantic Ocean. 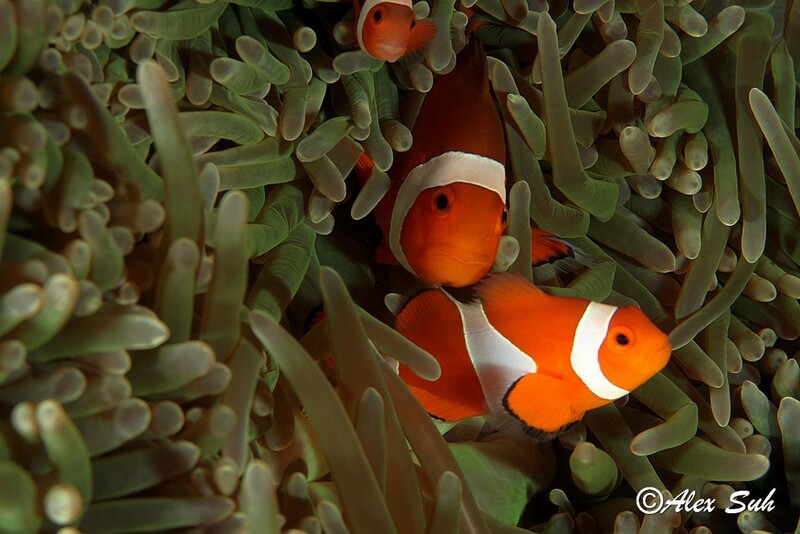 They have a symbiotic relationship with anemones which usually sting or injure other fish, but the clown fish is immune to the anemones sting due to a coating on the clown fishes body that protects it. 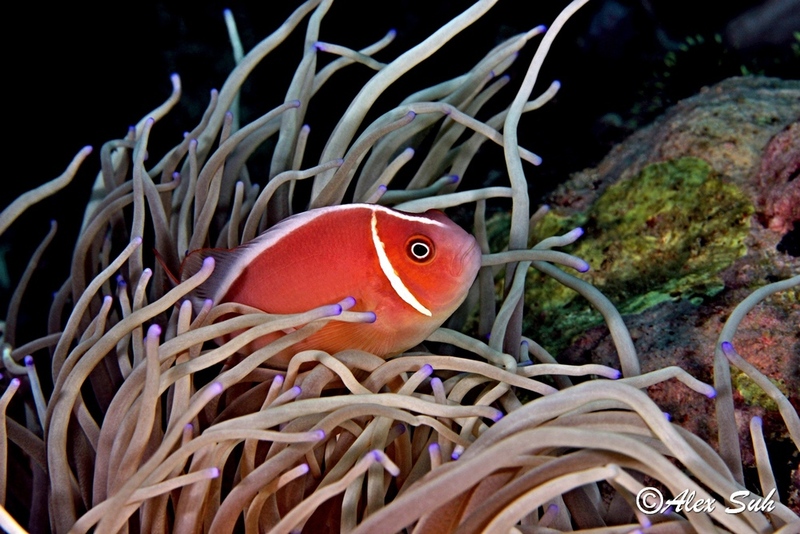 The clown fish uses the anemone as protection and provides it with food and cleans the anemone from time to time. All the photos are taken by Alex Suh.